Surveillance activities are part of the overall US security strategy and spying on Europeans is done to safeguard and protect its allies from possible threats, argues Annegret Bendiek, but views in Paris, Berlin or Brussels are not quite the same. At today’s summit of heads of EU state and government, attempts to use the Prism scandal to reinforce the data protection debate are unlikely to be successful, according to Hosuk Lee-Makiyama. 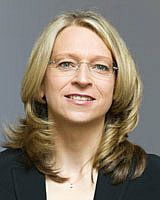 The political expert believes the data protection package will take a back seat to the telecoms single market proposal. After a tumultuous period of data snooping scandals and accusations of US spying in the EU, Jan Philipp Albrecht, one of the leading MEPs behind the EU's draft data protection regulation, tells EURACTIV that Parliament will finalise rules by the end of its mandate, because it cannot wait. 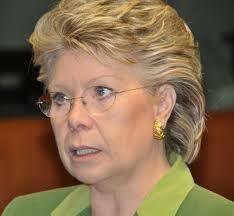 European institutions will be covered by the EU's new data protection regime, says Viviane Reding. The same rules must apply to everyone, the EU justice commissioner says in an interview, where she also discusses the brewing storm over alleged US snooping on European offices. The prospect of a swift ratification of the Lisbon Treaty following the Irish 'yes' last weekend will allow the European Parliament to re-open sensitive dossiers, including bilateral agreements on visa waivers with the United States, according to MEP Sophie in 't Veld. An agreement was reached on 6 October 2006 about supplying information on transatlantic airline passengers to US authorities. Dutch MEP and Rapporteur Sophie in ´t Veld, speaking exclusively to EURACTIV, says the deal offers EU citizens no safeguards or redress if they are falsely accused. On 24 November 2005 the Europen Parliament's Committee on Civil Liberties, Justice and Home Affairs (LIBE) voted on the Commission's draft directive on data retention. The outcome of the vote is unlikely to please in particular the UK Presidency, because the committee decided to furtherly limit the retention obligationin the commission draft, which was already a watered-down version of the draft framework decison presented by, among other goevernements, the UK. In an exclusvie German-language interview with EURACTIV, the Rapporteur, Alexander Alvaro (ALDE, Germany) talked about the situation after the vote. In tension situations, such as after the London bombings, lawmakers should refrain from rushing into privacy-invasive measures, says Peter Hustinx, the European Data Protection Supervisor, in an exclusive interview with EURACTIV.